We help taxpayers in Roanoke, Texas with IRS tax debts, collections, and audits, including IRS offers in compromise, installment agreements, and penalties. The IRS audit rate is not high. This is particularly true for taxpayers in Roanoke, Texas. The IRS audit rate is at an all time low. This does not mean much for taxpayers who are actually audited. The IRS has been particularly aggressive in proposing adjustments for the few taxpayers selected for audit. The IRS has also re-focused its efforts on collecting unpaid tax debts. Unlike IRS audits, the chance of being contacted by the IRS for an unpaid tax debt has increased. This is even true for taxpayers in Roanoke. We can help with this. We help taxpayers, including taxpayers in Roanoke, with IRS audits and unpaid tax debts. 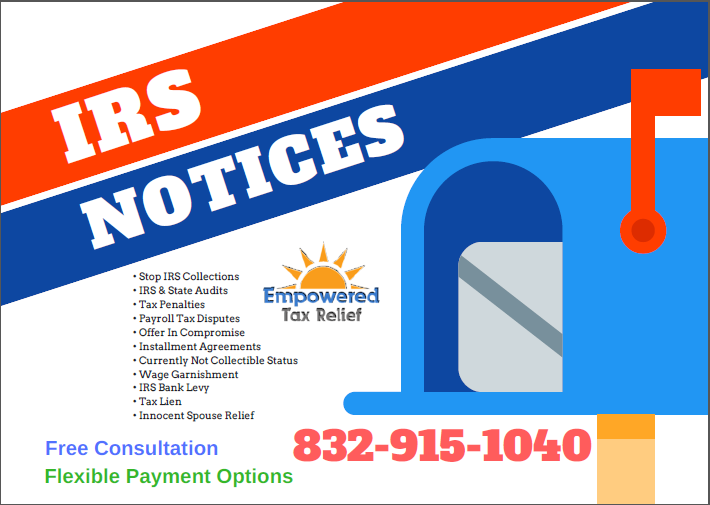 Please contact us immediately If you are in Roanoke and are under audit by the IRS or have an unpaid tax debt.